If you are the 'Tetbury Classic Car Show' Show organiser and you would like to update or amend the details shown, please contact us. Thank you. When is the next Tetbury Classic Car Show? Sunday 25th August, 2019. Tetbury Classic Car Show is listed under August 2019 Shows. Although we try to keep the information for this event as up to date as possible, we cannot guarantee that things haven't changed at the last minute, and we haven't been informed. Therefore, please contact the 'Tetbury Classic Car Show' event holder directly to confirm all details (especially event name, dates and location) before setting off to 68 Lowfield Road. 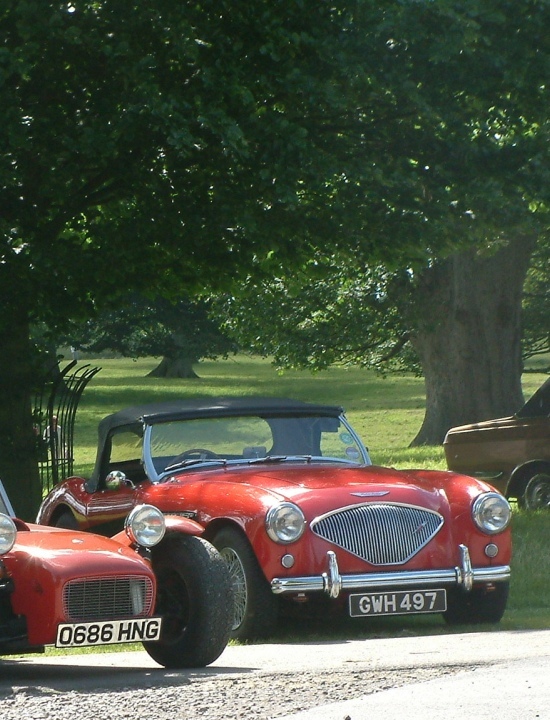 The Tetbury Classic Car Show is planned to take place at Sir William Romney's School, 68 Lowfield Road, Tetbury, Sunday 25th August, 2019. You may reach the event organisers on 07884 265117. With 700 vehicles expected this year, this Tetbury charity fund-raiser has grown to rival the very largest in the area. It now includes amusements and rides for the kids and more than thirty stalls of all kinds, including autojumble and a dozen new car franchises. With its relaxed and fun atmosphere and within walking distance of historic Tetbury, it's a must see!